I’m pretty sure that the majority have heard of the ‘Teen singing sensation’ that is Justin Bieber. Right? Personally, I wouldn’t call him a singing sensation but that’s what he’s known as by hisummfans, so I’ll just be polite and call him one. I bet that the majority of you also find him highly annoying and when you hear one of his songs play on the radio or on TV you want to throw a brick at it to shut him up, too. You probably think he’s the most annoying thing (apart from Rebecca Black’s Friday) in the World, too. Well, I think I have found something that little bit more annoying. 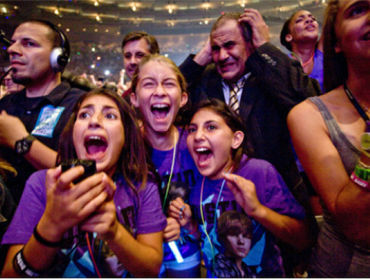 The fans – or “Beliebers” as they like to be known as. Well, for starters, they bully people who dislike Justin. Once on Twitter I was silly enough to say I disliked him and I had so many hate replies that I lost count. Luckily, I just found it funny, but what if that was someone who gets hurt easily or something? That could really hurt them when all they did was state a simple opinion. 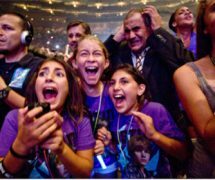 I also used to be friends with a Belieber – worst mistake ever. I said that I wasn’t a fan and she ranted at me saying that she hates my guts. Charming. This is just the beginning. As some of you might know, Bieber has been dating Disney girl, Selena Gomez, for a while now. Now, I’m not a fan of her, but I do feel truly sorry for her after all the hate that she has been receiving from these hard-core Beliebers. She’s had to stick through insults, hate messages and even death threats. Yes, death threats. It’s a bit extreme isn’t it? After pictures flooded the internet of Justin groaping Selena whilst in the sea on holiday, the Beliebers went wild. One fan tweeted Selena saying “I’m gonna kill ya in the night underneath your smell (sic) bed” and another one said “Selena Gomez is dangerously close to a long, slow painful death.” I really think that’s wrong. Threatening someone they don’t even know just because of an obsession over a 17 year old Canadian who sings and looks pretty just to make money and please fans. These “Hard-core” Beliebers have even created a group on Facebook called “I hate Selena Gomez cuz she is dating my man” and one of them even posted on the wall “If Selena Gomez breaks Justin Bieber’s heart, I will break her face. I will kill her without kindness.” Er, one, he is not your man and it’s almost certain that he never will be, no matter how much you think you are in love with him and two, how do you kill someone with kindness, anyway? Back to the topic, these girls are getting a little out of control if you ask me. If they are his biggest fans, then surely they’d be happy for him to be in a relationship instead of torturing his girlfriend who is really upset over all of this? This sort of manic fan behaviour has been following him everywhere he’s been going lately. Last year an appearance in Australia resulted in a fan stampede, there was a riot in Liverpool over the “Baby” singer back in March where the police warned that they would arrest him for inciting a riot if he revealed himself and there was even an incident where two fans broke into his hotel room once dressed as two hotel cleaners to have a little snoop around his belongings- so basically to they’d blatantly just been rubbing their faces on Justin’s dirty pants and pulling his hairs out the shower plughole. Really? They really wanted to break into his hotel room just to see that? I actually find that pretty disturbing so God knows what Bieber thinks. Anyway, it’s clear that the majority of these Bie-hards (I saw this in some magazine and thought it was an understatement of the year.) are getting far too crazy to handle. I can’t believe they kick up such a fuss over a boy. WAKE UP PEOPLE! HE’S A TEENAGER WHO SINGS AND IT’S NOT AS IF HE’S SOME LEGEND OF A SINGER! HE’S JUST A BOY! A HUMAN BEING WHO IS MAKING MONEY! BIG WHOOP! Sorry, I had to get that out of my system. But seriously, what is all the fuss about? I wish they would just accept the fact that they won’t be Mrs Bieber and he won’t look at them and instantly fall in love. Yeah, he loves his fans, but not in that way and he probably finds them annoying, too (he and I might finally be on the same page. Now if I can just get him to realise the same thing about his voice) so why don’t they just take a moment to look at the damage they’ve done, apologise and then just blooming behave? Please? I’m sick of opening up websites and seeing his face and the headlines being about these crazy fans. Anyway, rant done. I apologise for it being so cheesy but I needed to get it off my chest. So there. Thank you, thank you very much (Sorry, listening to Elvis so I quoted him). They really cheese me off and I cannot believe how much fuss they make over him! One girl I know cut “Justin” into her arm! She seriously needs help. We Smilers (that’s the fans of Miley which you knew thanks to moi telling you at a sleepover) are completely different. We support Miley as fans but if someone dislikes her, we don’t bully them. We support her in what she does and respond when she asks us to help out charities and whatnot. Of course, there are one or two crazy fans but there are for everyone. True, we have the Cyrus Virus (my username is based on that for anyone who didn’t know!) but we don’t go around like nut cases. We are just fans. Good fans. JB thinks he’s the best thing since Micheal Jackson, haha, dream on sucker! The way I’ve seen him act is pretty vain and it’s so annoying! But vain or not, he doesn’t deserve to have his whole life under pressure thanks to screaming girls (I suppose). But yeah, he’s full of himself. Mind you, he does work with charities and anyone who does charity work gains a little bit of my respect. I still don’t like him though and I dislike his fans even more. They are rediculous, but I don’t feel sorry for him, he’s loving it. “I just can’t put myself in danger” because him being injured would be the worst thing since…the opposite of sliced bread…oh! unsliced bread! aha! anyway, he irks me, and so do his fans. I don’t know why I feel sorry for him but I kind of do. But I despise his fans so much with a passion.